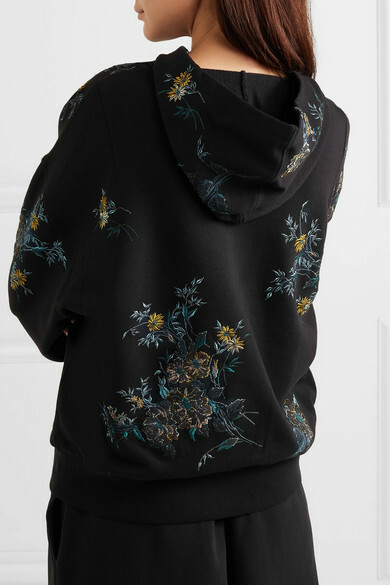 This hoodie proves that even a piece as seemingly casual as a hoodie can feel really special in the hands of Dries Van Noten. 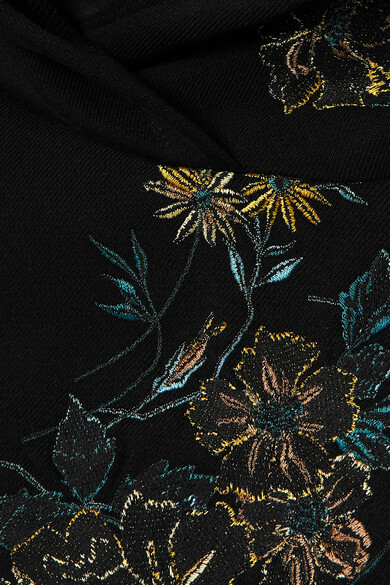 From the vivid Spring '19 collection, it's made from soft cotton-jersey decorated with metallic floral embroidery and has a loose fit enhanced by dropped shoulder seams. 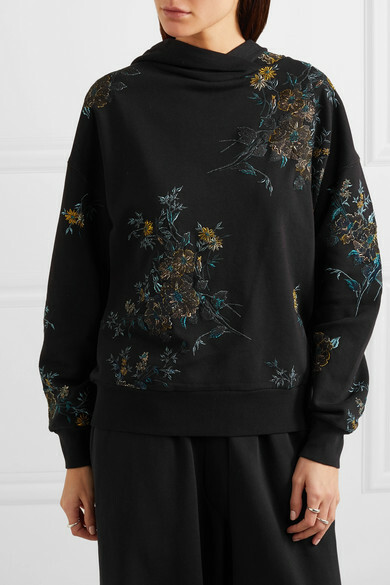 It's great for laid-back outfits but can easily be dressed up with a midi skirt and pumps. 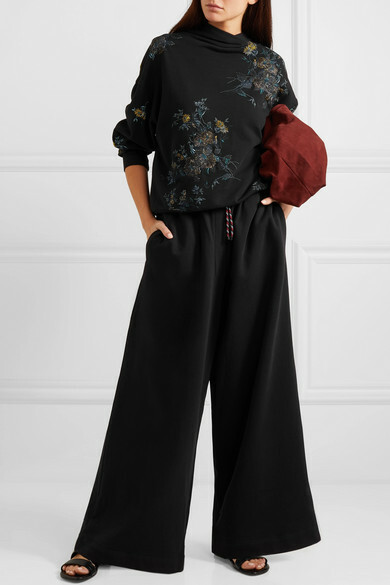 Shown here with: Dries Van Noten Track pants, The Row Shoulder bag, Dries Van Noten Sandals, Sophie Buhai Ring, Leigh Miller Earrings.